AMMONNEWS - Deputizing for His Majesty King Abdullah II, His Royal Highness Prince El Hassan Bin Talal on Saturday visited the New Zealand city of Christchurch, where dozens of worshippers were killed, including Jordanians, and a number of others injured in a terrorist attacks on two Mosques last week. His Highness called on the Christchurch Hospital where injured Jordanians are receiving treatment, conveying to them the King's wishes for a speedy recovery. He was also reassured about the health of a Syrian refugee child who lost his father and brother in the attack. The boy had lived in Jordan for several years. Prince El Hassan talked with Jordanians in New Zealand, who gathered at the Christchurch Hospital gate. HRH also called the family of Jordanian Wasim Daraghmeh and his daughter Elein, who were injured in the terrorist attack and are currently hospitalized in Auckland, and also visited the condolence home of Jordanians who died in the heinous terrorist crime, and conveyed the King's condolences to their families. 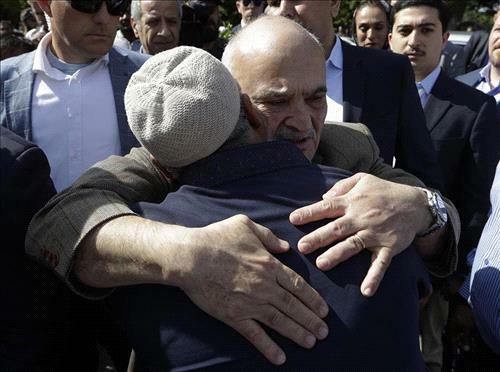 Prince El Hassan urged the Jordanian community to stand together in such difficult times, praising the humanitarian way with which the New Zealand government and people had dealt with the repercussions of the terrorist attack. Also during his visit, Prince El Hassan, accompanied by Her Royal Highness Princess Rahma Bint El Hassan, visited the Al Noor and Linwood Mosques, the scenes of the attack, laid wreaths at their entrances and met with members of the Muslim community in New Zealand. In remarks to New Zealand and international news outlets at Al-Noor Mosque, the prince expressed his appreciation for the humanitarian efforts of the New Zealand authorities and medical crews to help the injured, stressing that Jordan stands with New Zealand in these difficult circumstances. He said that New Zealand represents the common values of humanity and empathy, adding that New Zealanders set a unique model for coexistence and true citizenship. Prince El Hassan also met with Christchurch Mayor Lianne Dalziel and offered his condolences over the victims of the terrorist attack.